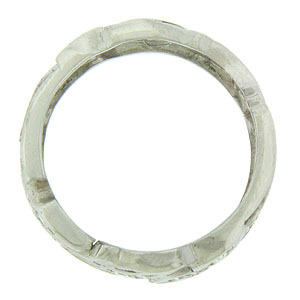 Bold, abstract organic cutwork spins across the surface of this elegant vintage wedding band. 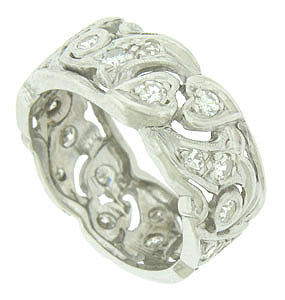 Dazzling, round cut diamonds press into each of the cutwork figures. 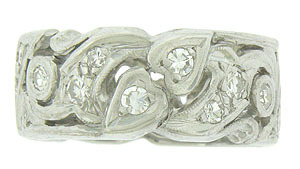 Fashioned of 14K white gold, the wedding band measures 8.29 mm in width and is set with approximately .80 carats of diamonds. Circa: 1940. Size 6. We cannot re-size.